In the twentieth century, governments around the world assumed a central role in building, managing, and regulating infrastructures that produced public goods in the public interest. Today, however, the status of “public infrastructure” is being reconfigured and challenged in a striking range of circumstances. Technological developments, the renewed importance of private capital, and the spatial rescaling of infrastructures have raised questions about the connection between infrastructures and established forms of political collectivity. And the “publicness” of infrastructure is contested through claims and counter-claims about the values produced by infrastructure, about the publics those values serve, about the kinds of expert or nonexpert knowledge that are relevant for defining these values, and about the technical means required to realize them. The contributors to this issue of Limn survey this fraught political terrain, examining infrastructure and its publics at many scales—from the local to the supranational—and in a broad range of countries. In keeping with Limn’s general orientations, the issue focuses in particular on technology and technical expertise, and its relationship to politics, publics, and other kinds of collectives. There is a stylized historical story one can tell about public infrastructure that provides a useful orientation to our infrastructural present. Since the nineteenth century, but particularly in the twentieth century, governmental reflection on infrastructures has been intimately related to a particular conception of collective life and to a particular role for technical experts. Government managed or regulated infrastructures such as highways, telecommunications systems, electricity generation and distribution, systems for water control, and sewage systems were planned for—and valued in relation to—a public understood to be homogenous and largely passive. Experts were assigned a privileged role in knowing the public interest, and in defining the needs that infrastructures were designed to meet and the values according to which infrastructural goods (and bads) might be assessed. This basic articulation of public infrastructure was not confined to Europe and the United States. Similar ensembles of experts, governmental mechanisms, and forms of collectivity took shape in socialist countries and in developmental states of the postcolonial world, with significant variations across sectors and countries relating to patterns of ownership, mechanisms of pricing, degrees of decommodification, and the inclusion or exclusion of different groups. 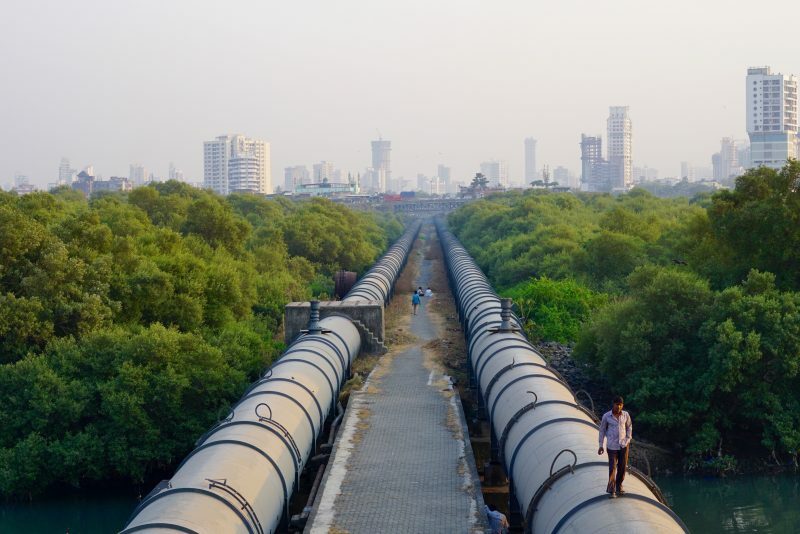 Mumbai’s public water system, comprising more than 4,000 kilometers of pipe, has recently been the target of reform proposals that aim to improve supply. Nikhil Anand explores protest movements that advance a competing vision of the utility’s “hydraulic public“. Beginning in the 1960s and 1970s, these formations of public infrastructure were challenged as longstanding critiques gained purchase in the context of acute fiscal shortfalls in many countries. Critics from many points on the political spectrum argued against expert definitions of public interest, and in support of alternate mechanisms for linking infrastructure to its publics, whether through participation, polycentric forms of governance, or markets. Critics also pointed to the unintended and previously neglected consequences of infrastructure development: the destruction of ecological systems, whether on a local or a global scale; the risk of catastrophic accidents or disruptions; and new patterns of exclusion produced by public infrastructures. More recently, technological developments—from distributed energy generation to wireless communications to social media—have raised questions about the status of infrastructure as a public good, about the kinds of collectivities that can be formed through infrastructure, and about the government role in building and regulating infrastructural systems. This is not to say that the old models of state-centered infrastructure governance in the public interest have vanished; indeed, their persistence and dynamic reformulation is a crucial feature of the contemporary scene. But these models are now supplemented and in some cases challenged by new arrangements. One significant recent development—which has received a great deal of scholarly attention—is the liberalization of infrastructure systems through outright privatization, leasing deals to private companies, the commercialization of infrastructure services, or deregulation. Surveying these trends, Stephen Graham and Simon Marvin argue in their influential study Splintering Urbanism (2001) that an “infrastructural ideal” of reliable, low-cost, and universal government infrastructure provision in the public interest is being replaced by market infrastructure provision, with infrastructural goods allocated through the interplay of private interests. Their claim is suitably qualified, both in its account of the infrastructural ideal, which was never realized in many contexts, and in its account of the emerging “neoliberalization” of infrastructure, which has been resisted and blocked in a variety of ways. But they nonetheless point to a broad secular trend: the loss of a past paradigm of state-provided (or regulated) infrastructure and its replacement by market logics of allocation and distribution. Examples of the dynamics that Graham and Marvin describe can, no doubt, be found around the world: in this issue, for example, see Nikhil Anand’s description of a proposed water infrastructure reform in Mumbai and the mobilization that successfully blocked it. But it is not at all clear that they are the defining features of our infrastructural present. 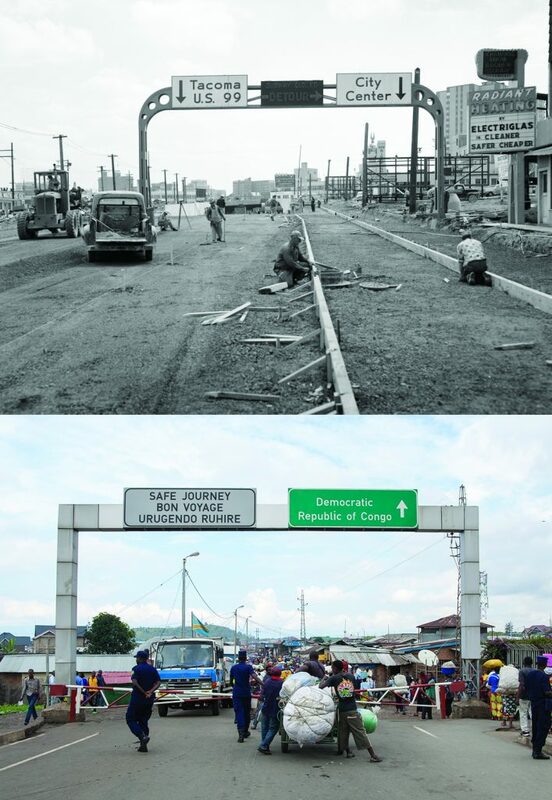 One contemporary tendency that diverges from this account is the remarkable dynamism of state-led infrastructure development, as is evident from the otherwise diverse cases described here by Jonathan Bach (on Chinese infrastructural development), Sven Opitz and Ute Tellmann (on infrastructural Europe), James Christopher Mizes (on infrastructural Africa), and G. Soe Lin Aung (on infrastructure construction in a special economic zone in Myanmar). Of course, these new projects of state-led infrastructure development have some distinctively contemporary features. For example, Andrew Barry shows that while the United Kingdom’s “National Infrastructure Delivery Plan, 2016–2021” echoes Soviet planning, it hardly involves government seizure of the “commanding heights” of the economy. Rather, this contemporary variant of the five-year plan relies on private capital and promises “transparency” to private investors and, in an unspecified way, to citizens. The familiar idioms of government direction, centrally defined public purpose, and large-scale planning are combined—in still-emergent ways—with market mechanisms, private actors, and public input. Jonathan Bach (‘China’s Infrastructural Fix‘) explores China’s massive contemporary projects of state-led infrastructure development. It is not only in rich, well-established democracies that privately funded projects of state-led development lay claim to longstanding idioms of public purpose or national interest. Mizes, for example, examines how Pan-Africanism is being revived in programs of infrastructure planning that rely on private investment, both from African publics and from non-African investors. Aung explores how infrastructure development for a special economic zone in Myanmar—also dependent on private funding—is justified as serving the national interest. Such claims certainly deserve critical scrutiny. What publics benefit from these projects? And which are excluded or displaced? But as Mizes and Aung both argue, they should also be taken seriously, particularly against the background of postcolonial histories in which the “infrastructural ideal” of universal state provisioning was always highly attenuated. Stepping back, the cases presented in this issue point to various combinations of markets and states—and of public and private value—that run orthogonal to the axial distinction in discussions of “neoliberalization.” In another significant contemporary arrangement, privately provided infrastructural goods are justified as serving a public interest. Consider, for example, the pervasive contemporary attempts to promote renewable energy through decentralized and market based mechanisms. As Andreas Folkers and Canay Özden-Schilling show in articles on renewable development in Germany and the United States, respectively, liberalization and market provision are purposively calibrated to the provision of public goods in an attempt to address the negative externalities and democratic deficits of state provision. Or, in a totally different arrangement, consider Emma Park and Kevin Donovan’s description of how a private telecommunication corporation, Safaricom, dons the accoutrements of a developmental state in Kenya. Though not a public agency (indeed, this private company is now partly owned by foreign investors), Park and Donovan argue that Safaricom is held responsible for realizing public purposes, and is subject to some effective mechanisms of public accountability. The point is not that these are cases in which markets succeed where government fails, or that markets are managed exclusively in the public interest. Rather, it is that distinction between markets and private value on the one hand, and government and public values on the other, may be too limited. We need to wrap our minds around situations in which these elements are all mixed up. 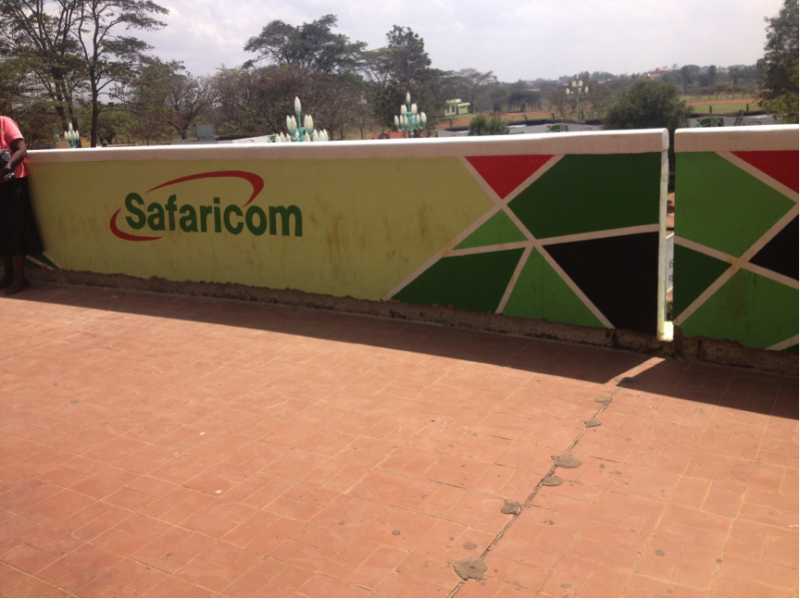 An advertisement for Kenya’s largest telecommunications company, Safaricom, combines the colors of the Kenyan flag with ‘Safaricom green’. Kevin Donovan and Emma Park (‘Between the Nation and the State‘) examine how this private corporation is assuming some functions of the post-colonial developmental state. As an alternative point of entry to this terrain, we might focus greater analytical attention on the publics in public infrastructure. In traditional thinking about public infrastructure, a government—or, more precisely, the officials and experts who are delegated the authority to make policy—builds, manages, or regulates infrastructures on behalf of a public, understood as a predefined collective. But there is another tradition of thinking about infrastructures’ publics that is traced back to the American philosopher John Dewey. Observing the increasingly urban and industrial United States of the 1920s, Dewey argued that people are not joined together because they have “voluntarily chosen to be united” through some original act of will. Rather, they are linked by “vast currents” of circulation and complex interconnection. And it is not formal political organization but these “vast currents”—flowing along what would later be called infrastructures—that are the most important force shaping publics. “Green and red lines, marking out political boundaries, are on the maps and affect legislation and jurisdiction of courts,” Dewey famously wrote, “but railways, mails and telegraph-wires disregard them.” These systems “influence more profoundly those living within the legal local units than do boundary lines” and determine “the most significant constituents of the public and the residence of power” (Dewey 1927: 107). As a number of recent commentators have pointed out, Dewey’s observations suggest a provocative alternative to the conventional way of thinking about publics, and his approach might be extended to thinking about the publics of “public infrastructure.” If, following Noortje Marres (2005), Dewey was interested in the way that publics were “called into being” by problems and events, he also suggested that that they might be “called into being” by infrastructures. Thus, rather than examining infrastructures as systems meant to serve a preconstituted public—as in the traditional formulation—we might ask: What collectives are gathered by the materiality of infrastructural connections, the spatiality of infrastructural flows, and the definition of technical standards? Of course the point cannot be simply that material, spatial, and technical elements shape publics in a deterministic way. We still have to consider how public infrastructures—and thus these material, spatial, and technical elements—result from collective decision-making arrangements. How is the power to plan, build, and value infrastructure delegated to community leaders, activist and advocacy groups, elected representatives, government officials, or technical experts, and how are the decisions or judgments they make contested? In other words, we have to explore the interplay between the planning and construction of infrastructures and the gathering of publics, with an accent on the mechanisms of collective choice, expert evaluation, and contestation that mediate among them. One way to get at this interplay—and its contemporary mutations—is to study the sites of interconnection, boundary objects, and calculative devices through which infrastructures, publics, and experts are linked up. Take, for example, a ubiquitous calculative device in old and new infrastructure planning: the cost-benefit analysis. Cost-benefit analyses were a core element of the traditional paradigm of public infrastructure. Embedded in these analyses were both the values that were made to count in infrastructure planning and the kinds of experts (preeminently, but not only, economists) whose knowledge was considered authoritative in defining these values. Since their introduction (in the United States, for example, they were first required by law for government-funded flood control projects in the 1930s), cost-benefit analyses have been criticized on various fronts: for their insensitivity to distributional issues; for the status of the expert knowledge that goes into constituting them; for their failure to incorporate the values and preferences of those affected by infrastructures; and for their manipulation to serve narrow political interests. Despite this longstanding criticism, cost-benefit analyses remain ubiquitous in contemporary infrastructure planning, as the articles here suggest. But their role has changed, and in important respects they have been dislodged from a former position of authority. As such, both in their technical details and in the range of their application—including, importantly, the limits of their application—cost-benefit analyses can be read as hieroglyphs that allow us to decipher the current arrangements of publics, experts, and infrastructures. Consider Andrew Lakoff’s study of water management and the protection of an endangered species in California—a small fish called the delta smelt. At one level, this is a case in which cost-benefit analysis is expressly forbidden. The provisions of the U.S. Endangered Species Act (1973) exclude consideration of cost and benefit in designing management strategies for listed species; species survival cannot be assigned a price, and cannot be deemed too costly. This statutory prohibition does not mean that costs and benefits are not considered, or that expert evaluation is irrelevant. And debates continue to revolve around technical arcana such as the “entrainment risk” of smelt near turbines, the accuracy of fish surveys, and the relationship between turbidity and smelt reproduction. But consideration of these issues is displaced to public debates over the relative priority that should be afforded to protection of an endangered species versus other values, such as farming incomes or urban water use. This case of water management in California points to a broader phenomenon: the technical procedures of expert judgment in infrastructure planning and management are increasingly opened to scrutiny and contestation of various sorts. Experts, or officials whose authority derives in part from expert judgments, must face publics (and their elected representatives). Another variant of such disputes involves what Annemarie Mol (1999) has called “ontological politics”: contests over the very nature of the objects of expert knowledge. Consider another case of water management, Andrea Ballestero’s analysis of disputes over the extension of an aqueduct in Guanacaste, Costa Rica, to provide water for a new private development. Once opponents of the extension realized that official claims about sustainable rates of extraction were not based on a model of the aquifer, debates shifted to “what kind of entity” the aquifer is. Is it a container with an impermeable wall and a fixed volume? Or is it a sponge with changing shape, leaky borders, and indeterminate absorptive capacity? Similar stories emerge from Ashley Carse’s account of drought in Panama—is drought a natural phenomenon, or is it systematically produced by infrastructural modernization?—and Cymene Howe and Dominic Boyer’s account of the wind in Mexico. 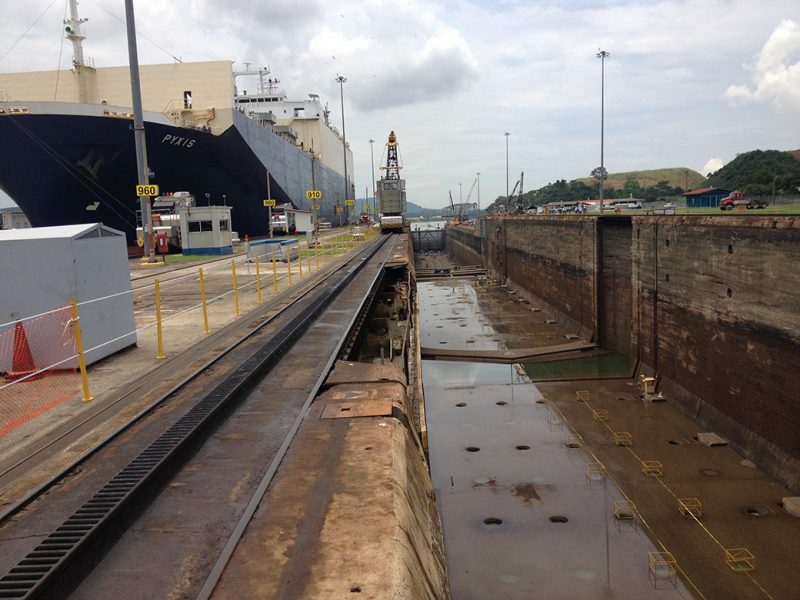 The lock system in the Panama Canal uses 2 billion gallons of fresh water a day—more than the daily water use of 18 million Panamanians. 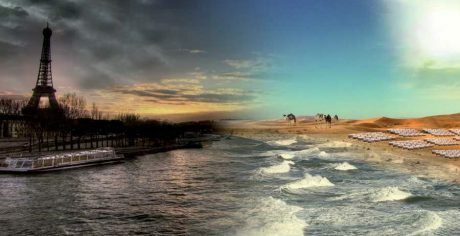 Ashley Carse examines the consequences of seeing drought as an ‘infrastructural’ event rather than a natural disaster. Our somewhat accidental survey of contemporary infrastructure suggests that it is not only the things extracted, transformed, and circulated through infrastructures that are today being reshaped, but the public—or publics—of infrastructure. If at one time the public was imagined as a homogenous and passive subject of need, today multiple publics are involved in contesting and making (differential) claims on the state. And in many cases, this diversity of public interest is being taken into account in infrastructure planning, which now often includes a mandate to actively solicit “community” input or even to summon relevant publics into being. Take Stephen J. Collier, Savannah Cox, and Kevin Grove’s analysis of post-Sandy resiliency measures in New York, which examines planning for a berm to protect the city’s Lower East Side from flooding. Following the protocols of the U.S. Department of Housing and Urban Development, the project was required to satisfy a test of cost and benefit. Notably, the benefits attributed to the project in expert analysis assumed a public that extends far beyond the local area slated for protection, since the berm is designed to prevent disruption of critical infrastructure and economic activity that is significant for a large region. But this initial analysis was only the criterion of admission to a planning process in which design thinking was employed to create a complex ecology of knowledge producers. This ecology includes an array of technical experts, planners, and designers, reflecting a more general trend to multidisciplinary and multifunctional infrastructure planning. It also includes producers of nonexpert (but still highly specialized) knowledge, most notably that of a second public, scaled to the local effects of the project as a feature of daily life. In this complex ecology of knowledge we see new arrangements of expert authority and public voice—akin to what Michel Callon (2009) has called a “hybrid forum”— as well as the “activation” of a local public, whose members are asked to speak for themselves about their values and interests. In one sense, this case of flood protection in the Lower East Side is unusual. Even in New York, a city with well-developed institutions of community engagement, such robust participation is the exception rather than the rule. But this case points to broader dynamics that are at work across many sites: the scalar recalibration of infrastructures, experts, and publics; the “activation” of publics previously assumed to be the passive recipient of infrastructural goods and bads; and the multiplication of publics. Dewey’s observations—nearly a century old—help us understand these dynamics. The public of infrastructure is not a fixed and prefigured mass (defined as citizens in general), but a collectivity of common interest shaped by the events and “vast currents” of contemporary life. Lest this sound like an overly-optimistic story, in which democratic publics become active around an ever-changing set of circumstances, we should bear in mind that Dewey’s central question in his investigation of the public and its problems was the prospect for democracy in increasingly urban, industrial, technological, and infrastructural collectivities. He was particularly concerned about the difficulties of constituting publics around “conjoint actions which have indirect, serious and enduring consequences,” each of which “crosses the others and generates its own group of persons” (Dewey 1927: 137). A number of articles here point to related questions. What kind of “public” might correspond to infrastructures that cross the boundaries that define citizenship, as in Opitz and Tellmann’s account of infrastructural Europe, which exceeds the boundaries of political Europe? What happens when multiple infrastructural systems overlap, and groups or individuals are simultaneously pulled into multiple publics and counter-publics? A montage produced by Rem Kohlhaas depicts Paris as adjacent to the African desert—linked by a common infrastructural network. Sven Opitz and Ute Tellmann (‘Europe’s Materialism‘) describe the disjunctures between the topology of infrastructural Europe and the shape of its political institutions. In Cusco, protests in the name of ecological protection and indigenous rights blocked the new project. But if this is a story about successful contestation, it also suggests the tenuous position of publics constituted in response to, or against, large-scale infrastructure projects. Indeed, if the articles collected here provide us with innumerable examples of the new activity and ferment of infrastructural publics, they also provide us with many examples of publics that have, in effect, gone missing. This problem is strikingly laid out in Catherine Fennell’s account of lead contamination in the United States. In contrast to the public uproar about water contamination in Flint, Michigan, there has been relatively little mobilization against lead contamination in housing. The problem, Fennell argues, is that the infrastructure of housing—comprising government financial arrangements, standards, and systems of provisioning—is largely invisible. Moreover, because housing is understood to be private and individual, it is not recognized as a public problem. We also find “missing publics” in cases in which the emergence of infrastructural publics is an explicit aim of planners. As Alan Wiig shows in his exploration of a smart city project by IBM in Philadelphia, designers did not take into account various structural issues that prevented an imagined digital public of job seekers from taking shape around new technology. Similarly, Gökçe Günel shows that a futuristic personal transport project in Masdar City, Abu Dhabi, ended up serving only as a quirky tourist attraction because an imagined eco-public that would use the system never emerged. These cases remind us that many new technologies are actually infrastructural platforms whose success depends on the emergence of new collectivities that act—to one degree or another—as publics. At times these collectivities take shape with astonishing speed; at times they never materialize. Here, perhaps, we run up against the limits of a story that places too much emphasis on infrastructures themselves in shaping publics. As Opitz and Tellmann put it in their article on European Union infrastructuralism, infrastructures “do not necessarily produce political unity.” Andreas Folkers makes a related point in his article on the legacy of protests against the “authoritarian” tendencies of nuclear power, and the dreams of decentralized democracy that have been attached to renewable energy in Germany since the 1970s. “[T]he reason why the promotion of alternative forms of energy generation…does not quite fulfill the hopes of decentralized forms of grassroots democracy is not because of smart technology,” Folkers writes, “but because of a lack of ideas for smart and politically progressive uses of it.” In recognizing the power of infrastructure to activate and produce publics we also have to keep in view the arduous and often unsuccessful labor—for legal subjects and not for objects—of working out a politics that corresponds to the new forms of infrastructure. Callon, Michel, Pierre Lascoumes, and Yannick Barthe. 2009. Acting in An Uncertain World: An Essay on Technical Democracy. Cambridge, MA: MIT Press. Dewey, John. 1927. The Public and Its Problems. Athens, Ohio: Ohio University Press. Graham, Stephen, and Simon Marvin. 2001. 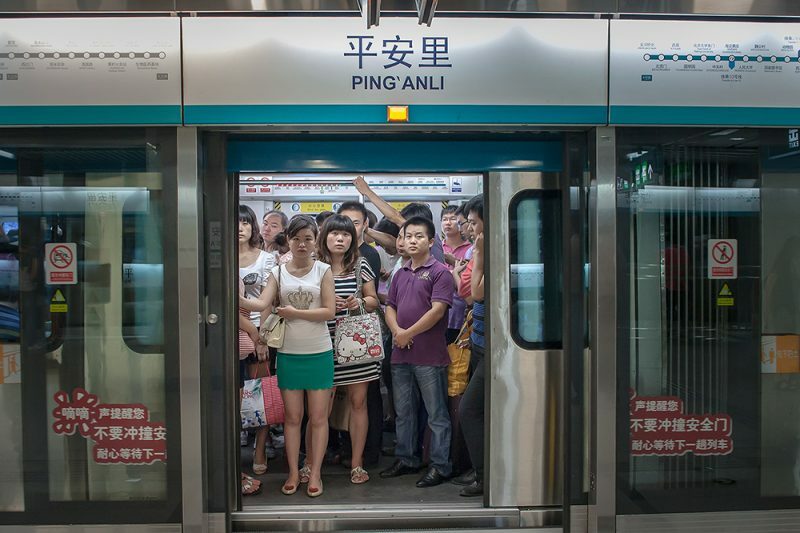 Splintering Urbanism: Networked Infrastructures, Technological Mobilities, and the Urban Condition. London, UK: Routledge. Marres, Noortje. 2005. Issues Spark a Public into Being: A Key but Often Forgotten Point of the Lippmann-Dewey Debate. In Making Things Public, edited by Bruno Latour and Peter Weibel, pp. 208-217. Cambridge, MA: MIT Press. Mol, Annemarie. 1999. “Ontological Politics: A Word and Some Questions.” The Sociological Review 47(S1):74–89.